World Series of Poker - WSOP App Data & Review - Games - Apps Rankings! 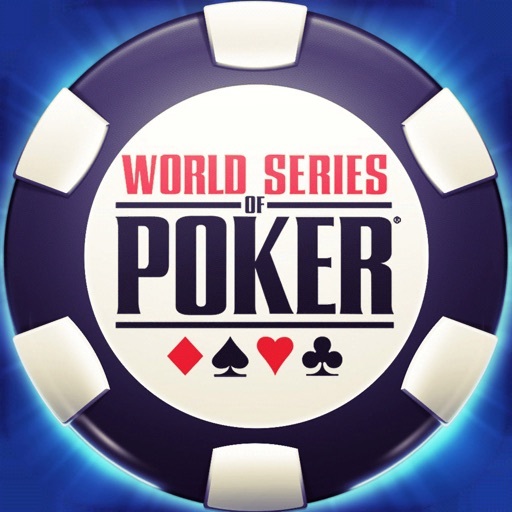 World Series of Poker - WSO.. 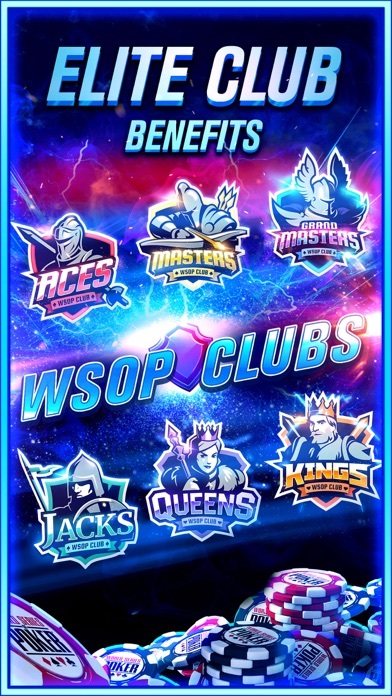 The applications World Series of Poker - WSOP was published in the category Games on 2013-11-20 and was developed by Playtika LTD. The file size is 385.16 MB. The current version is 6.6.0 and works well on 8.0 and high ios versions. 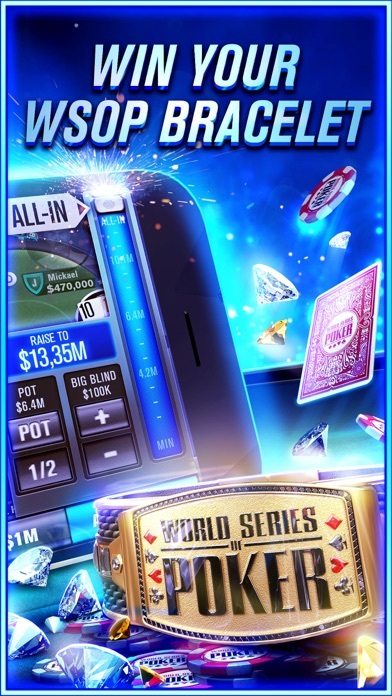 Do you like World Series of Poker - WSOP applications? Please share! This game is not real poker. Just a game. Might as well be throwing darts. I play Omaha...real cards.. NEVER is there that many hands decided by the river card. Also too many times does the same number decide back-to-back hands...if a pair of 6’s wins.. watch for 6’s over the next several hands to decide the outcome. 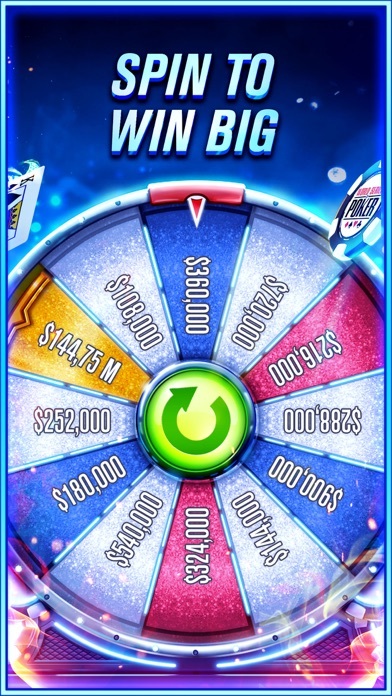 The MEGA wheel! Truly a joke.....9 times out of 10 it stops on the slice just beside the golden slice! How does that happen “at random”? I don’t understand, seems to me that it would be so easy to build a truly random game. What is the reasoning? 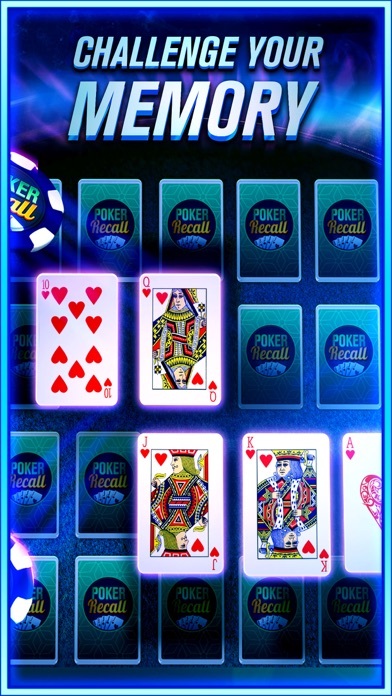 Enjoying the game very much one of the best poker apps out there! Lots of bots. The developers will tell you their isn’t but that’s a lie. You can tell by the comments and actions by some players that their bots. The cards... man, I’ve never had so many sets that lost to a full house that lost to a bigger full house. It’s actually comical. 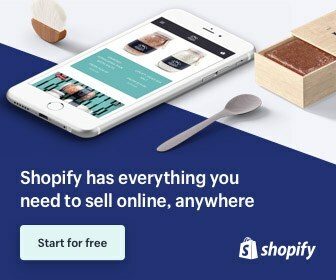 THEY WANT YOUR HARD EARNED MONEY. DONT GIVE THEM YOUR HARD EARNED MONEY. Don’t raise preflop either. Some 12yr old will call you with 10 3 and will runner runner quads! Update... been 3 days and I’ve lost 20+ mill. Broke the 100 mill point and haven’t won since. Lose hands I play, would’ve won hands I folded. But yeah..... “random” And. And, if you win big like 250 mill flopping a royal during power hand, you go the next month without winning. I’m down 100mill in a month and still losing. Sometimes you win enough to keep rank. Then right back to losing. I thought the point was to keep customers????? The developers response is the same exact one it gives to everyone. Hey developers..... you’re LYING. You know it. It’s. All. A. Lie. Have to click through Atleast 3 every time you leave tables. Thanks for your response. I deleted game. You play good bad results are the same at the end you lose everything and then you top up again chips and then suddenly lose it all again. And you start thinking may be I played bad and try again top up again and story never ends sooner or later lose your money and that it. They tell you it’s a random thing but it’s not because you won’t be able to prove anything. They take money but nothing in return. If you want real action go and organise it all your self and you’ll know its real. Not like here in 5min time at least ones or twice river on the table 4 or 5 harts or any other kind flop that will ruin your best hand at the preflop and that how you lose sooner or later. 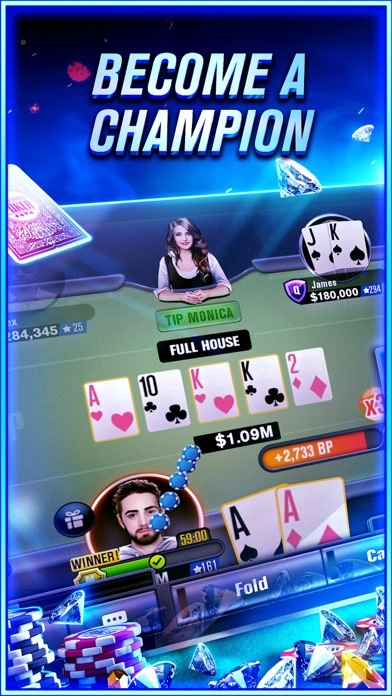 The app is absolutely unrealistic the developers will tell you it’s designed so the cards are dealt randomly that maybe true for the dealing part, but the flop turn and river are all fixed. For example I’ve made it to heads up in one of there Tokyo tournaments with a substantial chip lead and every time I push with hands AA,AK,KJ and get called with hands like 25,69 or off suited cards the opponent magically gets a run of cards every time and hits a straight or flush on the river. Now if it happened once in a blue moon it wouldn’t be so bad but to happen almost every time that’s a fix. 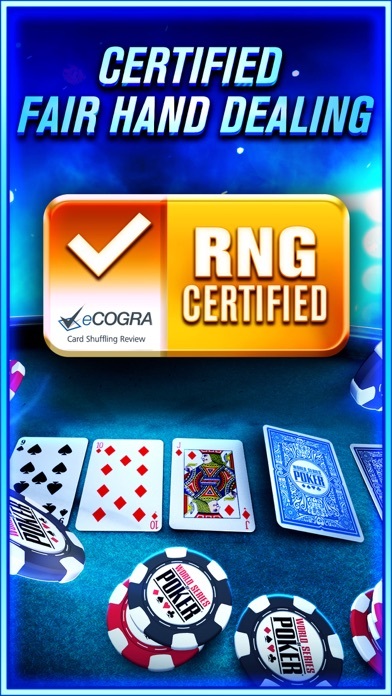 If your a good poker player I wouldn’t recommend this app at all you’ll just get jammed every time your heads up and have the 4-6 times more chips then your opponent you magically lose 87% of the time. 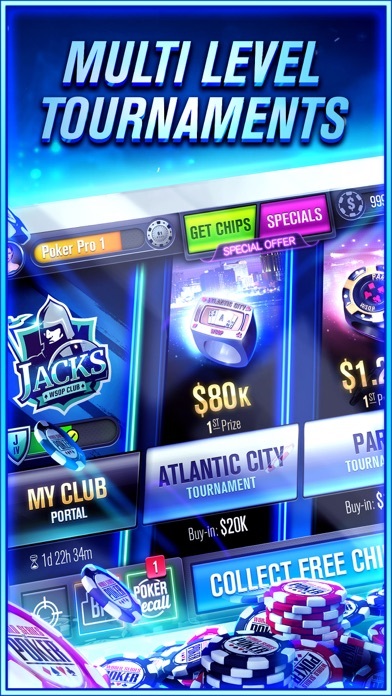 It’s just bad beat after bad beat poor programming and messed up algorithm how is it possible that every time someone that’s good at poker and wining and making free chips they some how lose every tournament to people getting lucky and hitting 4 running cards every time to get straight or a flush the game is fixed so that so that you can’t keep wining free chips because the developers are greedy for money and can’t bare the thought that people don’t really need to buy chips when they can win them for free so they target the good players to make them lose and push ads to try and make them buy chips it’s a money scam.